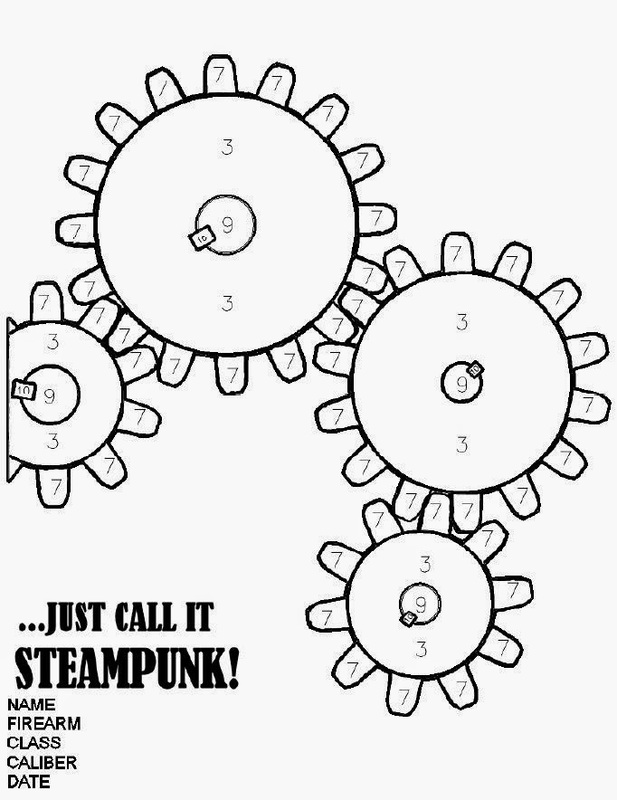 Well, that’s what this is, but it’s not quite as straightforward as just shooting at the gears. The points (also marked on the target) stack up like this. You get 10 points for hitting a key, 9 points for hitting a shaft, 7 points for hitting a tooth, and 3 points for hitting anywhere else on the gear. You get 10 shots at 10 yards (standing unsupported) which you can aim anywhere you please. However, if any of you are thinking about skipping that troublesome partial gear on the left, I’ll throw in an extra 10 bonus points on any target where you score points on ALL FOUR GEARS. Each shot scores only once so this gives a (highly unlikely) perfect score of 110 points. Scoring: Each shot counts once as the highest zone touched. 10 bonus points for scoring on all 4 gears. 5 – Open class: Anything else. If is unusual then shoot a target and send it in. 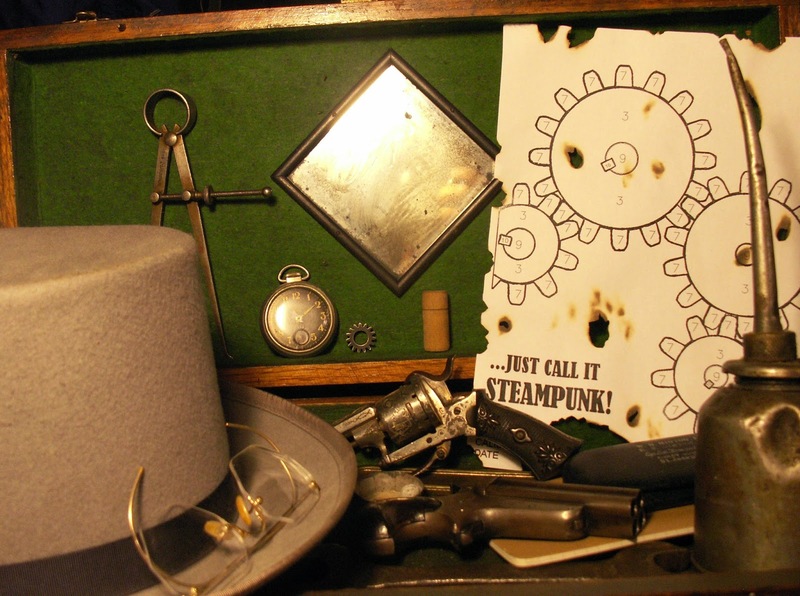 Send a picture too…if you and your gun look “steampunk enough” you will get extra points out of it! Email scans or photos of your targets to my email address (right side near the top) by the end of June. So then, is this target telling us you are a mechanical engineer? I'd like to ask about the "optics" class. Does that include both red dots and scopes, or is it non-magnifying only? Merle, good question. I consider red dots to be optical even without magnification because they remove the job of maintaining a proper sight picture that you have on open sights and, to a slightly lesser extent, peep sights. OK, thanks - I didn't want to go off the deep end. PS: my diploma says "Electrical Engineering Technology" but USN Combat Systems Engineer was more accurate. It seems as if there is no school for that - except for OJT & hard knocks.